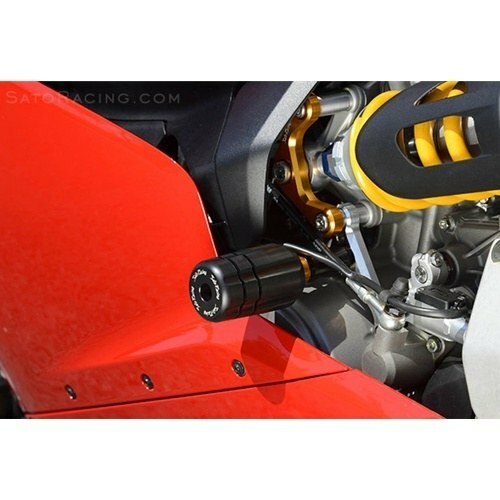 Sato Racing engine sliders for the Ducati 959/1199/1299 Panigale offer extra protection in the event of a crash or tip over. They protect the fairing and engine cases with specially machined Delrin sliders, chrome moly bolts, and billet aluminum brackets and supports. This version includes an optional rear shock/suspension support bracket. You can order the engine sliders without the support bracket (SATD-1199ES1).